Home Apple iPad Reviews iPad 2 : The Good, The Bad & The Ugly ! iPad 2 : The Good, The Bad & The Ugly ! Last month the much awaited iPad 2 was launched and by the, end of the month, many could lay their hands on it. The Internet is now flooded with analysis and firsthand experience of iPad 2 users. As all of you know, since the launch of iPad two years ago, it hogged most of tech media attention and Apple could sell almost 15 million iPads within a year. Is it a magical device as Steve says? How does iPad 2 compare with iPad and its competitors? Apple is successful in convincing people the need for a Tablet with iPad (which Microsoft failed to do in 2000) which fits between a notebook and a smart phone, which is faster to boot , easy to handle, does most of your routine tasks, has a pleasing display , a with a performance no one can complain about. Most importantly, the interaction with iPad looks very natural for people, namely, swiping and pinching can put even a Grandma at ease! The iPad is designed with very limited external interfaces to reduce complications for most of the users, but one can find ways of getting most of his daily routine done within the Apple ecosystem. Earlier, one was relying on his /her Laptop for the same. The Apple iTunes store has more than 65000 applications to download. Apple is therefore, successful in satisfying the need of the tech savvy, as well as the common man in style! So we cannot but agree with Steve when he calls it a magic device. All said and done in its current avatar iPad cannot completely replace a Laptop. It may not be very attractive for creating large documents, or tasks which demand PC style multitasking or need for large screen. What are the important differences between iPad and iPad 2? iPad 2 is much thinner (8.8m, thinner than iPhone 4) and lighter (601gm): All the users of iPad 2 appreciate this when one needs to hold it for long; and wish a thinner and lighter device. Even though it is much lighter compared to the competitive devices, one cannot compare its weight with eBook readers like Kindle. One can expect the iPad 3 to come with Carbon fiber body which makes it much lighter. As per most of the iPad 2 owners, its aluminum rounded contour in the bottom makes it more comfortable to hold. Faster performance with Dual core A5 CPU. This makes iPad 2 much faster to load your web pages and combined with its GPU provides a 9X faster graphics so you can expect the launch of many new games with more detailed graphics. Users of the iPad have always marveled at the speed and never really understood how Apple can do this with just 256K RAM. The iPad 2 is believed to have 512K RAM. All the reviewers agree that performance specification of all competitors look good only on paper and real World story is totally different. Front and rear Cameras. VGA resolution of the front camera is more than enough for Face Time, the Skype like apps from Apple. All the reviewers agree that the rear camera is good enough for 720P video but there is difference of opinion about the quality of still pictures it can take. Most of them are not happy, so it is not a substitute for a point and shoot digital camera. I thought it looks funny to take photos with something as big as iPad 2. Improved screen display: Resolution remains the same as 1024 X 768. Many have noticed an improvement in viewing angle with richer and truer colors. New Innovative Cover: Apple really surprised us with this one. All the existing iPad casing suffers from the following issues: (a) It spoils the beauty of iPad. It is no secret that Apple wants its products to be bare to admire its beauty. (b) It comes in the way of a few accessories causing issues (c) It adds to weight which really unfortunate. So Apple came up with an innovative solution which covers only what needs to be covered (screen) and snaps in place using magnets making it easier to add and remove. It can put the iPad to sleep too. Moreover it can double up as a stand. It is available in Polyurethane ($39/-) and Leather casing ($69/-) in various colors and with its reasonable pricing Apple made it sure that most people will buy this as a compulsory accessory. Two popular MAC applications (iMovie and GarageBand): These are sort of demo applications to show the capabilities of iPad 2 similar to what Steve showed “The Elements” during the launch of iPad. Both are rewritten for iPad to make use of its unique capabilities and I am sure many teenagers will buy iPad for GarageBand alone. iMovie works only on iPad 2 (iPhone 4 version is different) whereas GarageBand is available on both iPad and iPad 2. What is missing in iPad 2? Retina display: By early Jan 2011 many expected iPad 2 would surprise everybody with a Retina display, i.e. 2048x 1538 pixels which is exactly double of the current display resolution. But this would have put enormous challenge on the CPU, battery, and cost which may not necessarily boost the user experience in the same scale. Apple preferred to go slow and launch iPad 2 in time and make it available in stores which are the key where most of the competitors failed. An incremental display resolution will cause issues for the existing applications so Apple is expected to go with 2X in iPad 3. Lack of SD card memory reader: Apple prefers to offer a thinner tablet and the new built in camera which means one can snap and stores photos within the Tablet for immediate use. For better photos one can always use point and shoot camera and transfer the photos using camera connector. 128GB Storage: With 128GB, double of the current iPad storage of 64GB Apple would have been forced to increase the price, which obviously they want to avoid. Is it worth buying iPad 2? If you are yet to buy a Tablet, time is ripe to get an iPad 2. I am sure that without iPad you are missing lot of fun in life. If you already have an iPad it is better to trade in or give to your dear ones and upgrade to iPad 2. 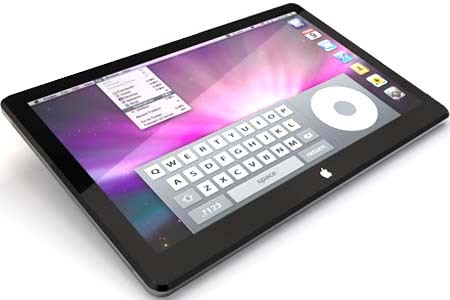 Or you can wait for iPad 3 with lot more exciting features which are believed to be introduced within a year. But it cannot make up the time you have already lost in experiencing the device which is going to rule during the post PC era. iPad 2 cost remains same as of iPad. It starts at $499/- for the basic model and the top end model costs $829/- There are 6 models, 3 with Wii only and 3 with Wifi+3G. Comes in different storages 16GB/32GB/64GB.